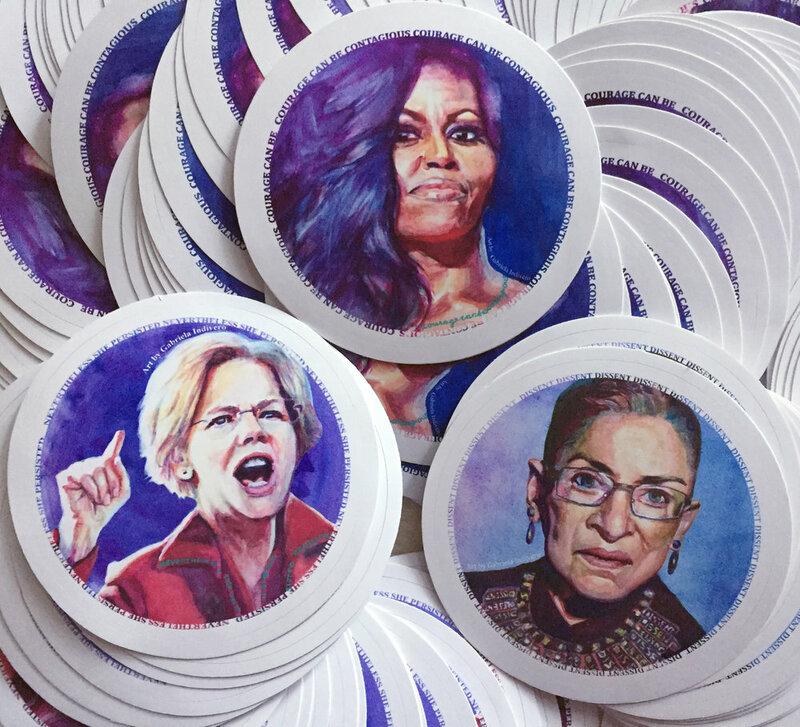 Excited to share these watercolor paintings of badass women. Check back here for more updates! These stickers are $3 each or 3 for $8. All profit goes to Indivisible, an awesome organization doing great work for the midterm elections (among other campaigns). Check out their website if you want to learn more! These are 3 inch stickers made of weatherproof and scratch resistant vinyl. Put them on your water bottle, laptop, car, or really any smooth surface. Scroll down to see closeups and a size comparison (half of the white rim is just the sticker backing). Click here to order stickers! Free shipping in the US, small fee for international shipping.